Boss Dean Keates believes Walsall need more experience in the squad if they are to progress next year. The 39-year-old is currently holding end-of-season meetings with his players in order to inform them who features in his plans for the 2018/19 campaign. Those discussions started yesterday and are due to continue this week with the Saddlers then publishing their released and retained list. And Keates says he has a clear idea what is needed to move the club forward. “Clarity wise I know what I want in my own head and what I’m looking to add to take the squad forward,” he said. “For me, we definitely need to add more experience. That is definitely something we need to look at. “We need leadership, yeah that can come from experience. But young players can talk and affect things on the pitch with communication. 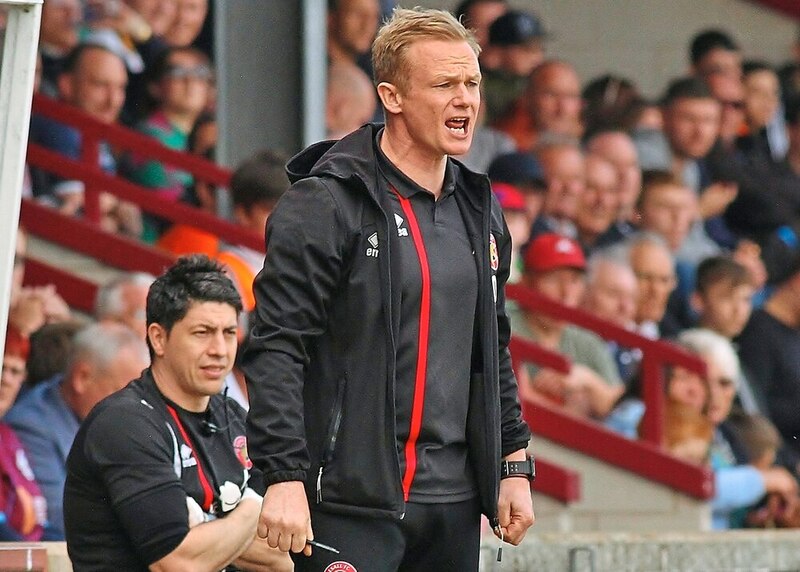 “That’s something that needs to be worked on and something I need to drive into the players when they come back for pre-season.” Keates revealed talks with some of his transfer targets started a few weeks ago. “Now is the time we can sit down and forward plan,” the boss added. “There have been conversations over the past few weeks. “I have been speaking to players and we have been putting offers out. “Things have been happening on the back-burner because everything was about results. “From the moment I came in, it was very much a short-term aim to make sure we were still in this league. “That was something we had to do just to make sure we got across the line. Meanwhile, goalkeeping coach Steve Hale has become the first person to confirm he is leaving the Banks’s Stadium this summer. The former Swindon and Forest Green Rovers man joined the Saddlers on a short-term deal in February to fill the void left by Neil Cutler’s departure to Albion. He tweeted: “Contract completed, enjoyed my short time with Walsall. “Pleasure to work with Liam Roberts and Mark Gillespie. Good pros and good lads.